The Oceanarium is a hugely popular aquarium situated on West Beach in Bournemouth. 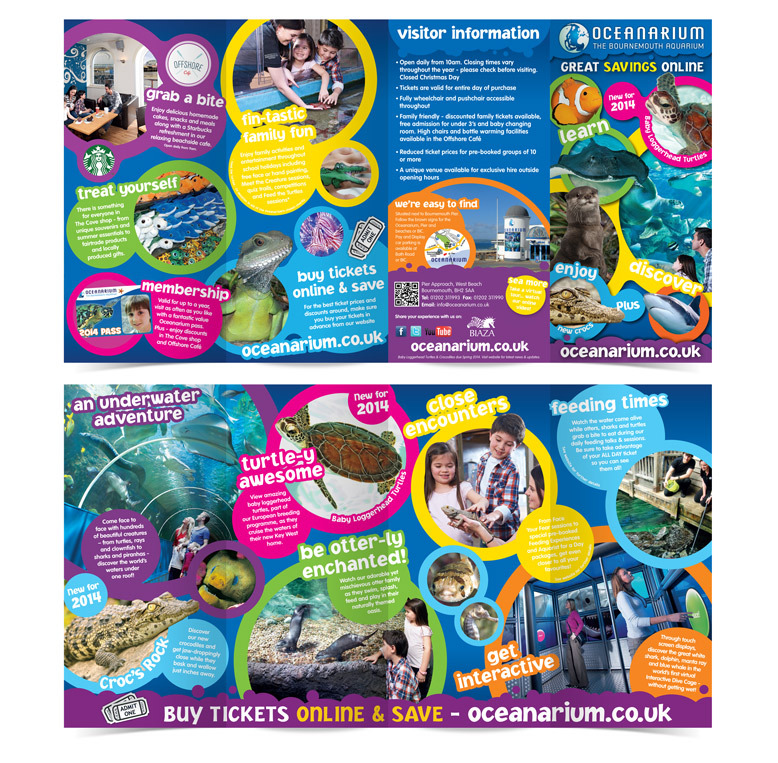 With the attraction much-loved locally and situated so close to our studio, CuCo were absolutely thrilled when we won a competitive pitch to produce the Oceanarium’s new creative concept. 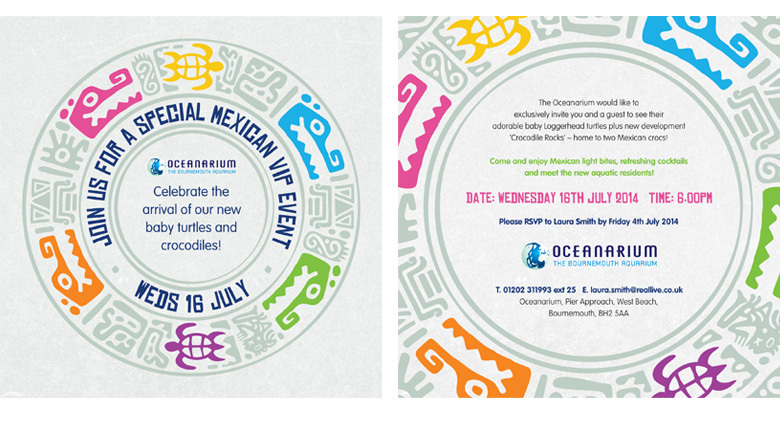 The Oceanarium wanted a design that was fresh, exciting and would showcase the aquarium’s new creatures for 2014, appealing to the whole family. 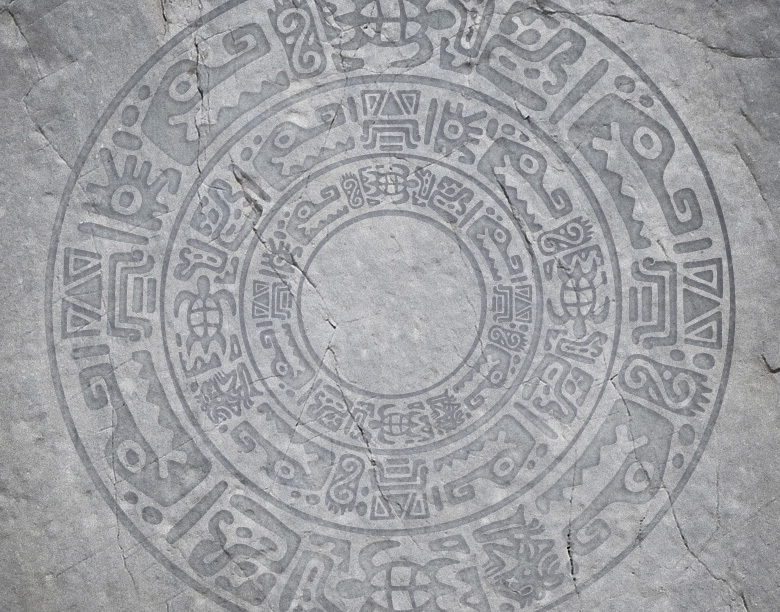 CuCo delivered a creative that was colourful, modern and above all creature-led. 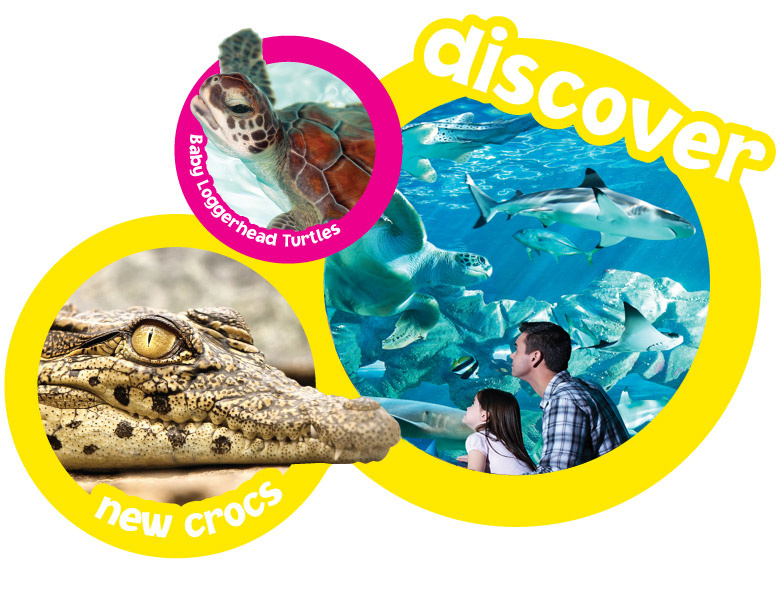 With over 2000 creatures living at the Oceanarium the design conveys the diversity that the Oceanarium has to offer, as well as showcasing the new additions for 2014. 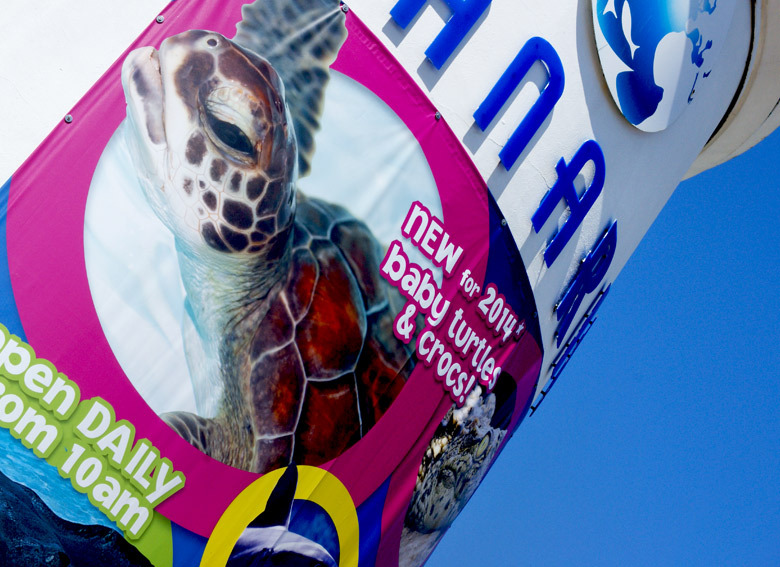 CuCo’s creative concept has been implemented across a whole range of the Oceanarium’s online and offline marketing, from press ads to bus wraps all across the South including Dorset, Hampshire, Somerset and beyond. Recalled advertising in outdoor media has increased dramatically compared to in previous years. Since then the Oceanarium have announced a £1.5 million pound expansion project that will see the introduction of a penguin beach, pool and underwater viewing area and increase the size of the whole seafront attraction by a third. If you need any help with your branding or marketing, contact CuCo today on 01202 911959 or email us at hello@cucocreative.co.uk – We’d love to help!